A commission investigation is pending and the panel can extend the temporary suspension when it meets Oct. 24, Bennett said. Nurmagomedov and McGregor could also appeal Bennett's executive action at that time. 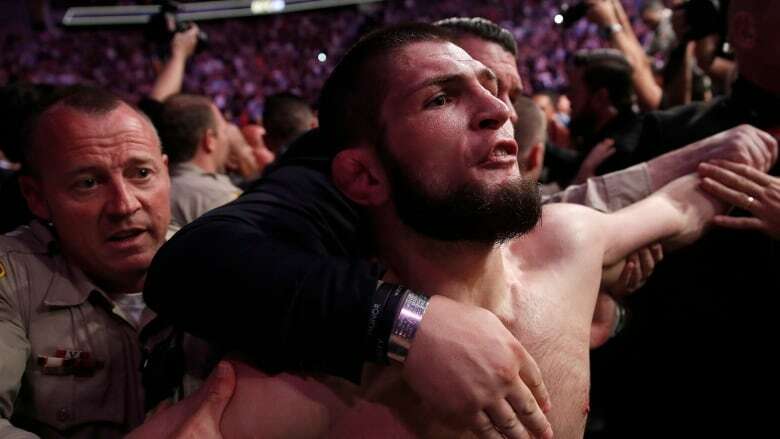 The fighter complained that discipline didn't follow an incident last April in Brooklyn, New York, when McGregor shattered windows of Nurmagomedov's bus with a hand truck after Nurmagomedov confronted one of McGregor's teammates days earlier. McGregor's manager, Audie Attar at Paradigm Sports Management, said he was confident the investigation will clear McGregor. Nurmagomedov's manager, Ali Abdelaziz at Dominance MMA Management, did not immediately respond to emails. Abdelaziz's telephone was not accepting messages. Nurmagomedov's $2 million for the fight has been withheld by the commission pending the outcome of the investigation, Bennett said. McGregor received his $3 million purse.